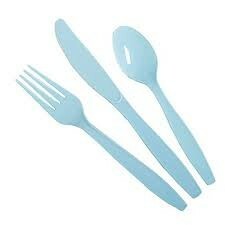 Powder Blue Cutlery Set (24). This is a set of 24 pieces and is high quality plastic. Ideal for buffets and party food. can be washed and re-used.